Jack LaFontaine never had thoughts about returning to the junior ranks. After a year in the OJHL and a year in the NAHL, followed by being a third-round pick by the Carolina Hurricanes, LaFontaine split the goaltending duties at the University of Michigan during the 2016-17 and 17-18 seasons. It wasn’t until a meeting with the coaching staff LaFontaine realized he wouldn’t be returning in the fall of 2018. Initially taken aback by the conversation, LaFontaine quickly realized it would be an excellent opportunity for him to get back into a groove of playing multiple games a week like he had during his previous junior days. Being born and raised in Ontario, LaFontaine had never been to Western Canada before coming to the Vees. Unsurprisingly, the Vees weren’t the only team hoping for LaFontaine’s services as a 20 year old, as he said there were teams in the USHL that were hoping to land him too. It was the history and the culture surrounding the program that drew him to spending his 20-year-old season in the South Okanagan, though it didn’t exactly get off to a smooth start. He cites going to the beaches in Penticton following practices as some of the best times he had during his time in town, creating bonds and friendships that will last a lifetime. On the ice, LaFontaine’s success came a little slower than he would have liked. Five goals on 16 shots against the Langley Rivermen wasn’t how LaFontaine envisioned his season starting. 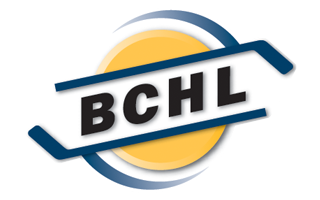 The team finally won back-to-back games in their first two home games, shutting out the Alberni Valley Bulldogs and Vernon Vipers, though they wouldn’t win two straight for another month. LaFontaine would, of course, get into a groove as the season went on, culminating with being named the BCHL’s Top Goaltender for the 2018-19 season. He posted a 30-10-2-1 record, .923 save percentage and 2.19 goals against average to take home the honour. He never gave up more than three goals in a game after December 8 and shutout the Salmon Arm Silverbacks in the final game of the season to clinch the Interior Division and the 500thwin for Fred Harbinson. Not everything was sunshine and rainbows for LaFontaine during the season, however. In December he received a phone call from Michigan telling him that he wasn’t in their plans moving forward and would have to find a new landing spot to continue his hockey and education. Considering the year he was having with the Vees, and the pedigree of being a high NHL draft pick, there were no shortage of teams clamoring for his services for the fall of 2019. While he visited a few different schools and had plenty of options, it was the University of Minnesota that just felt like the perfect fit. His commitment to Minnesota may seem like it was meant to be, considering he has taken a nearly identical path to a good friend of his, and former Vees goaltender, Mat Robson. After red shirting at Clarkson University in 2015-16, Robson returned to the junior ranks in Penticton and helped lead them to a Fred Page Cup in 2017. He then committed to the University of Minnesota, becoming the first Canadian goalie to play there since Frank Pietrangelo in 1985-86. With Robson signing an NHL contract with the Minnesota Wild, the path has been paved for LaFontaine to take the reigns as the Gophers starting goaltender. With his NCAA future now cemented in Minnesota, LaFontaine was able to focus on having fun again with the Penticton Vees. Coming off an eighth-straight Division title, the Vees were clear favourites for their opening round series against the Cowichan Valley Capitals. 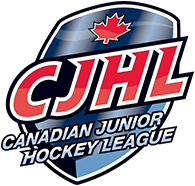 The Capitals, to their credit, did not back down and ousted the Vees in six games sending shockwaves through the junior hockey world. While the ending to the season might be tough to shake off, the memories created during his time in Penticton will outweigh the frustrating ending for LaFontaine. LaFontaine’s summer plans revolve around taking some time off and heading to development camp with the Hurricanes before he starts the next chapter of his life in Minnesota. He’s followed in the footsteps of Robson to Penticton and Minnesota, and nobody in Penticton would be surprised to see him also sign an NHL contract a few years down the road.